I’d like to introduce Steve Mayfield. We’ll talk about Mormon involvement in the Patty Hearst kidnapping case. Steve talks about his involvment in the Patty Hearst kidnapping case. Steve: I was there during a very well-known case, this little kidnap case you might have heard of Patty Hearst. I wasn’t an agent, but I was involved in that in the fact that I was assigned to the Berkeley Office of the FBI where the kidnapping occurred for about three or four months. Then I came back to San Francisco. I was there the day she was arrested and brought in. After she was arrested, myself and other clerks spent a whole week booking in all the evidence and all the materials they picked up and I had an opportunity on two occasions to go out up sit in on the trial. And I sat a couple of rows right behind Patty and her attorney F. Lee Bailey. 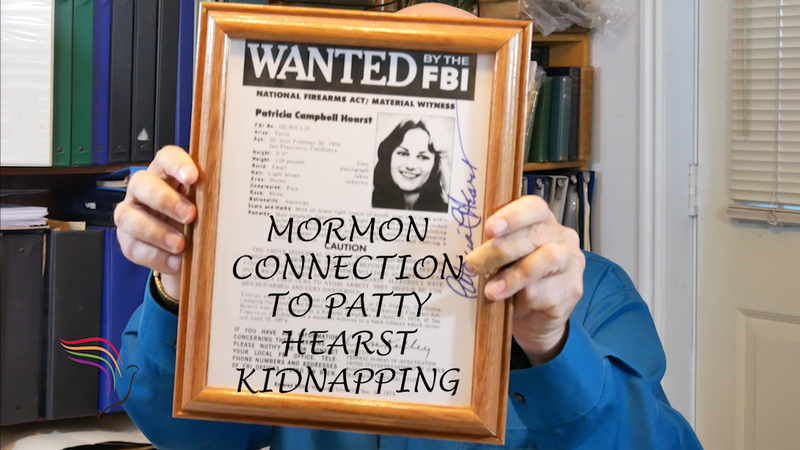 Did you know that it was a Mormon FBI agent that arrested Patty? Steve: The supervisor of the squad that handled bank robberies and kidnapping was a guy named Brian Wheeler, who at the time of the kidnapping was a member of the San Francisco Sunset Ward bishopric. When they divided, and made a special squad of agents just to work on that case, one of the agents was a guy named Jason Moulton. He is LDS and he is one of the agents that arrested Patty Hearst and on the CNN special, he’s the FBI agent they interview on it. Jason retired about 15 years ago. [He] was the assistant special agent in charge of the FBI in Seattle. FBI Wanted poster. The Patty Hearst kidnapping morphed into a bank robbery where she was the robber!